Current settings of the white search form on top: check for luxury and premium cars at the 'St Moritz - Saint Moritz' rental location. 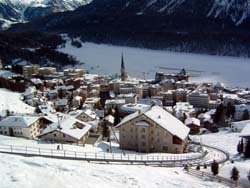 It's our single rental point directly in St Moritz. - Use the map of Switzerland on the left side. General information. OrangeSmile.com offers premium class vehicles and limousines with best rate guarantee. Having a wide choice of rental providers in St Moritz, we show you the most beneficial offers on the fly, based on your search criteria. The most typical car models in the luxury and premium segments in St Moritz are: Lexus ES, Mercedes E Class, Mercedes C Class, Audi A5 Sportback, Mercedes SLK, BMW X5 and others. A vital characteristic of all limousine offers in Switzerland is a high insurance deposit (franchise). Please read the rental conditions of a selected model prior to your booking. 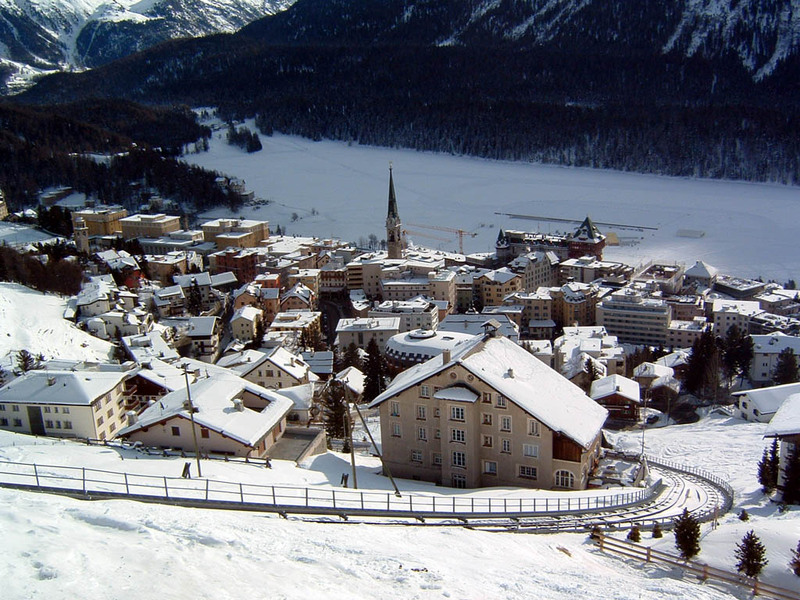 In addition, for a luxury saloon rental offices in St Moritz may request information about two credit cards. It will also be indicated in your rental conditions. At puck-up time in the office, do not forget to verify the given papers and compare them with your voucher. Sometimes, rental offices in Switzerland try to add optional services without notifying customers. We wish you safe driving around Switzerland! On highways, the maximum permitted speed is 120 km/h. The speed control is carried out by special radars. The police often patrol the roads using ordinary cars without any markings, so it is not recommended to risk and break the rules. Stopping on the highway and parking the car on the road border is allowed in exceptional cases only, for example, in case of an acute health problem or a break. If the driver stopped because he had ran out of fuel, he will have to pay a large fine for violation of the traffic regulations. Several special rules must be remembered in respect of driving through tunnels. If there is a traffic jam in a tunnel, it is prohibited to stand motionless with the engine running. If special services staff asks you to leave the tunnel quickly, you need to obey their order immediately. The keys should be left inside the car, and you should leave the tunnel through the emergency exit. Pictorial art admirers should necessarily visit the Mili Weber Museum. The cultural establishment is devoted to life and creative work of an outstanding painter and writer. The collection of the museum counts hundreds of pictures, genuine sketch works and original drawing by the famous artist. The same interesting and engaging is the Giovanni Segantini museum, which collection commemorates a prominent Italian painter. Giovanni Segantini spent the last years of his life in St. Moritz leaving his priceless art masterpieces as a keepsake to the old town. Among historical landmarks and sights of the resort tourists will discover the Nietzsche summer house which is set in a scenic location named Sils Maria. This was exactly the place where Nitzsche worked on his creation “Thus Spoke Zarathustra”. Tourists giving preference to on foot exploration of historical sites and landmarks should necessarily visit an age-old farmhouse named Chesa Veglia. The house was constructed in the 17th century. Today the building hosts a popular restaurant. One of the oldest buildings located on the territory of the town is the Slanting Tower monument aged more than eight hundred years. The ancient tower is a remaining part of the St. Mauritius Church which was established in the middle of the 12th century.